New Year's Day my husband and I worked on a fun project, putting together lego sets! I loved lego as a kid but I've never done one of the big sets before. Here's the kit I did. When I opened the box there were... a lot of bags inside with lego. I couldn't believe how intricate the set was. 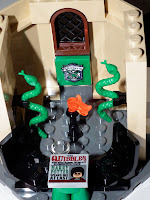 There were so many small details, many of which were buried under other pieces of lego (there are items hidden in the cupboards in Dumbledore's room, for example, that you can't access without taking the things apart). 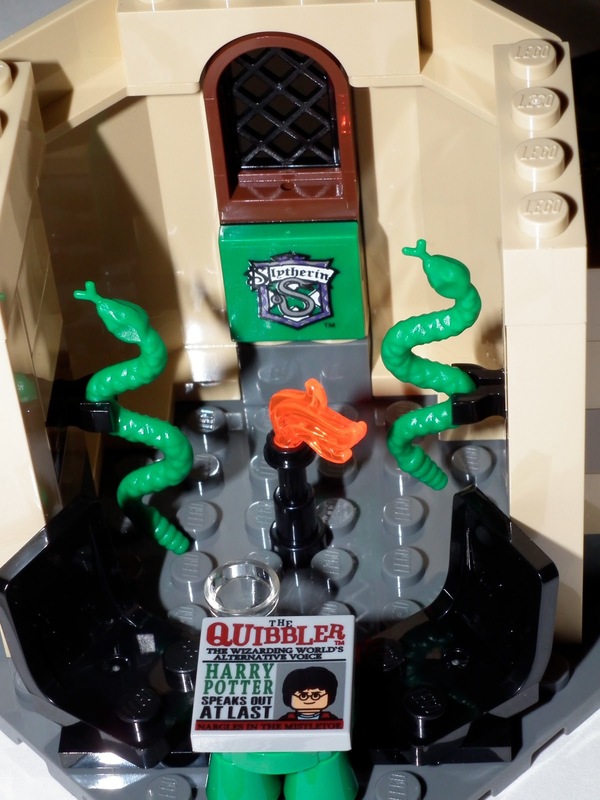 The kit came with a ton of characters (including 2 dementors, Scabbers, and Crookshanks), hanging snakes for the Slitherin common room, Sirius' face in the fire in the Griffendor common room, an issue of the Quibbler, owls for the owlry, potions bottles, a library with a locked book cabinet and more. It was so much fun to put together, and now I have to be careful with it, as it's got so many tiny pieces that are trying to fall off. Next time, I'm going to sit at a table, rather than the floor, because it took several hours to put together and I was hurting by the end of it. Harry Potter is my favorite story. When I get a time, I read the book. Thanks for share the post about Harry Potter.